Saw this bar in Old Town San Diego recently. Must be my Irish Kinfolk. 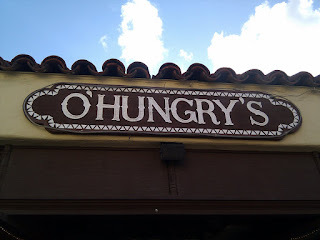 O'Hungry's is supposedly known for serving a yard of beer but I didn't stop for a drink. I was in the mood for margaritas instead and I can tell you that no amount of tequila will kill a cold!